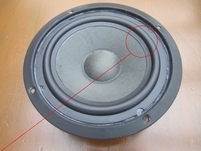 Special durable rubber ring for the woofers in Sonobull C and D series. Also available in foam. 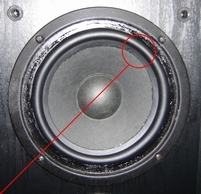 Special thin foam ring for these Magnat woofers. Special durable rubber ring for 141021 - same sound quality, longer lifetime! Special durable rubber ring for 144008 - same sound quality, longer lifetime! Special durable rubber ring for 1441081 - same sound quality, longer lifetime! Special durable rubber ring for 144114 - same sound quality, longer lifetime! 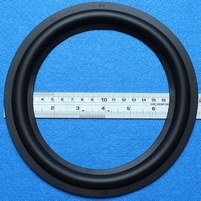 Special durable rubber ring for 144414 - same sound quality, longer lifetime! 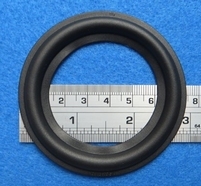 Special durable rubber ring for 145020 - same sound quality, longer lifetime! Special durable rubber ring for 145040 - same sound quality, longer lifetime! Special durable rubber ring for 145060 - same sound quality, longer lifetime! Special durable rubber ring for 145080 - same sound quality, longer lifetime! Special durable rubber ring for 145100 - same sound quality, longer lifetime! Special durable rubber ring for 145120 - same sound quality, longer lifetime! Special durable rubber ring for 148080 - same sound quality, longer lifetime! Special thin rubber surround for these Magnat mid toner. Special durable rubber ring - same sound quality, longer lifetime! Also available in foam, but this ring is more durable with the same sound quality.